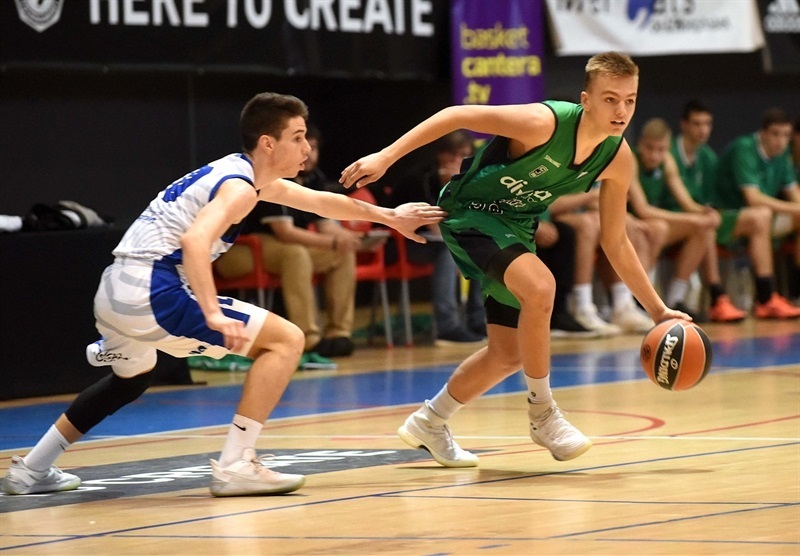 U18 Divina Seguros Joventut Badalona finished off its play in Group A at the Euroleague Basketball ADIDAS NEXT GENERATION TOURNAMENT Ciutat de L’Hospitalet with a perfect 3-0 record after beating host side 82-97. 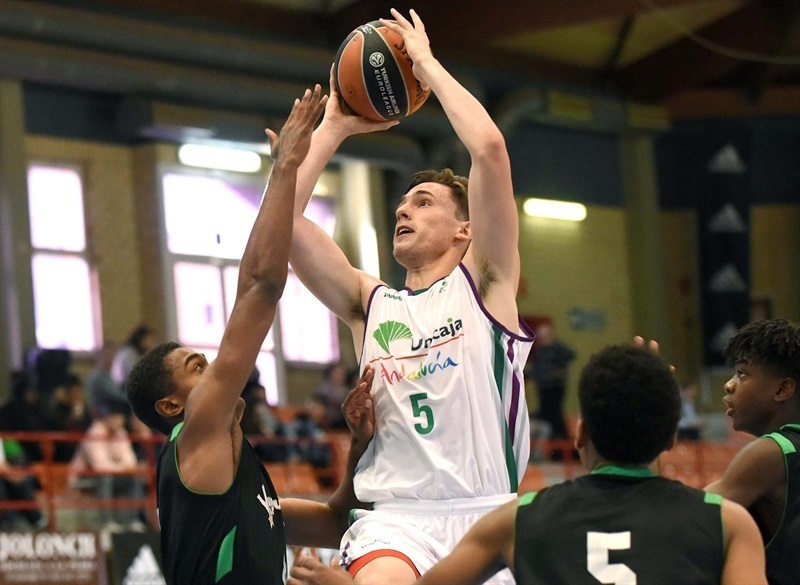 The 2013 continental champions, who had already booked their ticket to the ANGT L’Hospitalet final before the game, were paced by Arturs Zagars with 23 points and four assists while Joel Parra scored 18 points and Vinicius Da Silva collected 13 points, 16 rebounds and six blocks. L’Hospitalet lost all three of its games despite Gerard Sola and Adrian Rodriguez both scoring 17 points. Both teams started the game on target from long range with Rodriguez, Sola and Guillem Tallada all hitting for the hosts in opening a 13-10 lead. 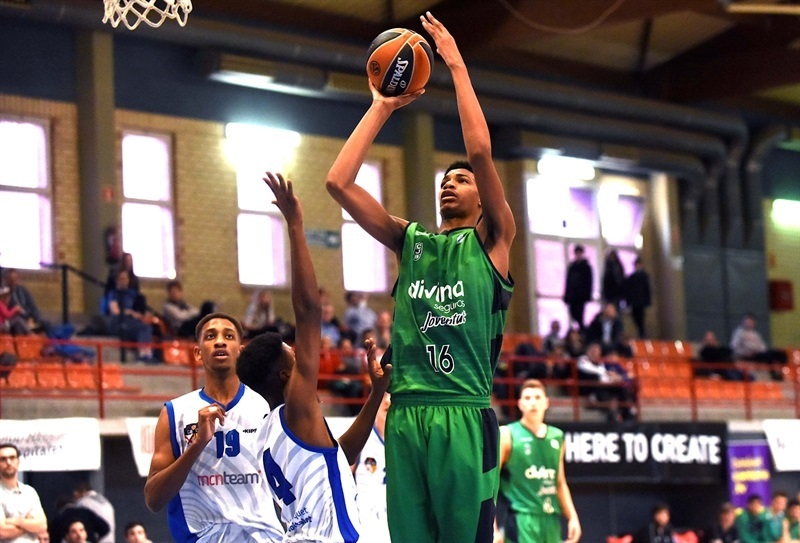 Zagars nailed three three-pointers at the other end and Joventut was up 16-19. It remained tight the rest of the first quarter with Joventut ahead 26-28 after 10 minutes. Duarte scored six straight points in helping L’Hospitalet nose ahead 34-30. And it was 40-35 before Joventut went on an 0-8 spurt to take a 40-43 lead and it was 43-45 at intermission. 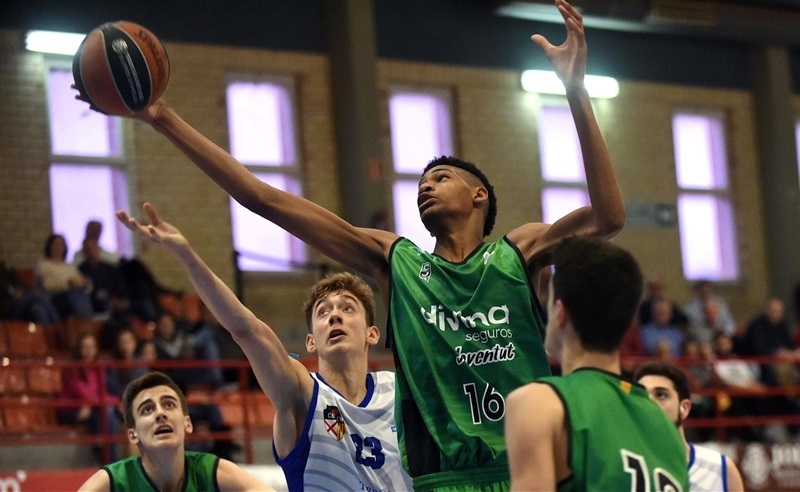 Things remained tight throughout the third quarter until L’Hospitalet pushed ahead 63-57. 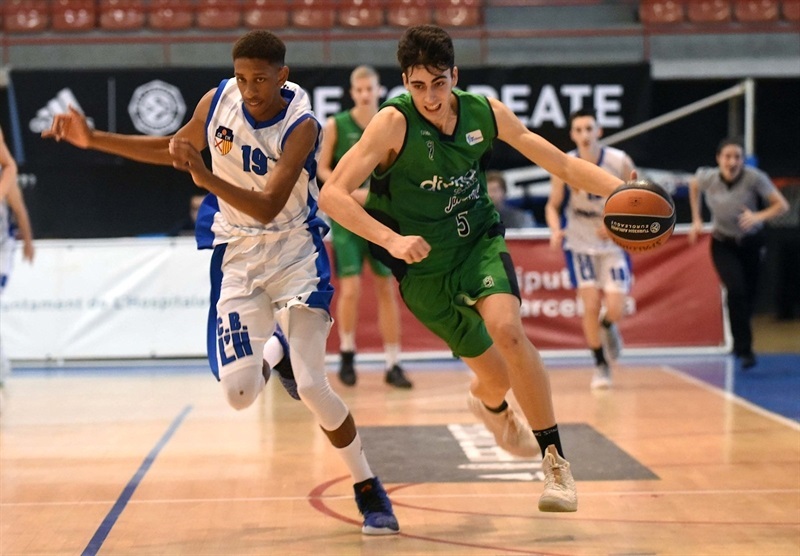 Joventut punched right back with three-pointers from Arnau Jamie and Didac Cuevas and the game was even 63-63 after 30 minutes. 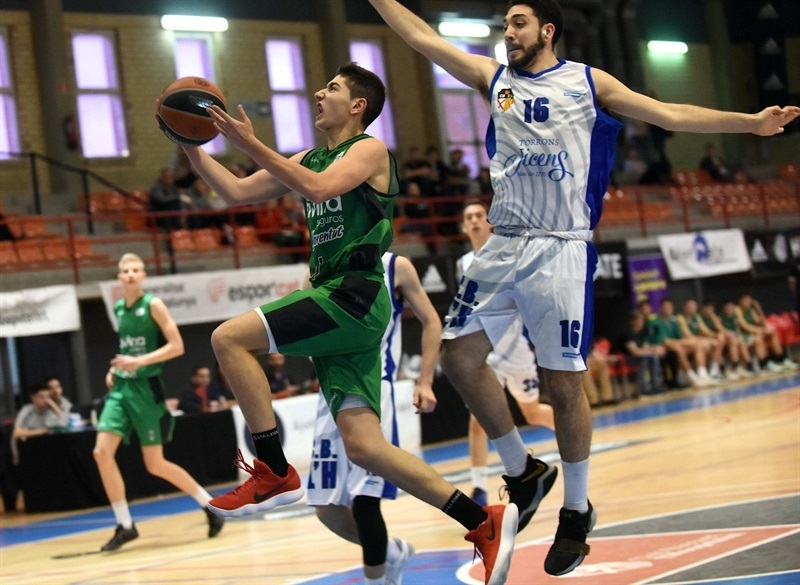 Joventut finally began to pull away in the fourth quarter with a 2-17 run in which Cuevas nailed two three-balls and it was 71-92 with three minutes left.